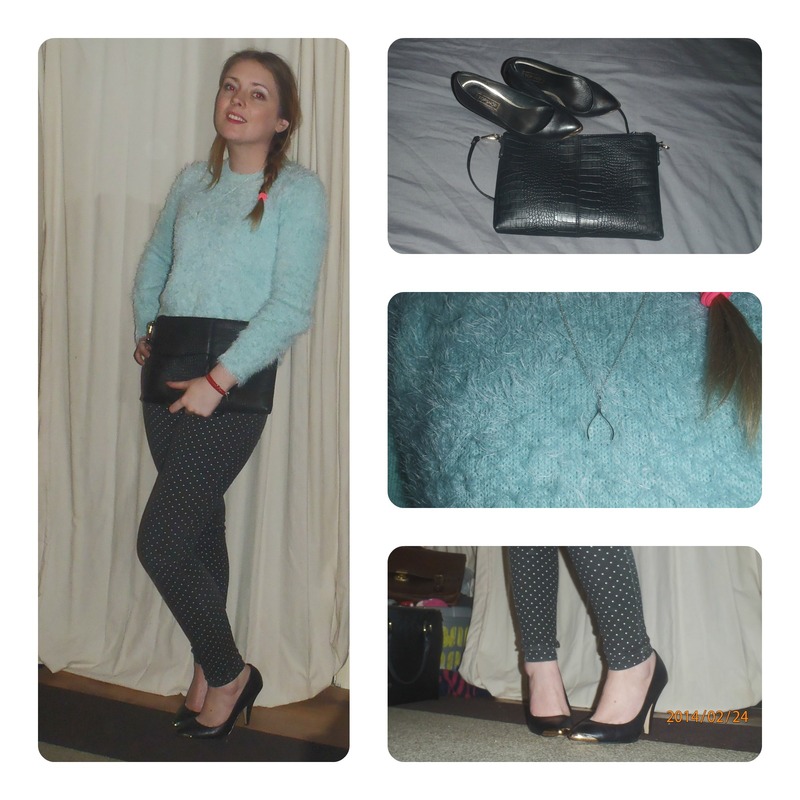 My mint Topshop Jumper is by far my fave clothing purchase of winter 13/14 even if the idea of pastels in winter season took me a while to get my head around. It can be dressed up or down really easily and is super cosy. I do find that these fluffy eyelash knits don’t keep their fluff for too many washes so no doubt we will need to part ways soon, it will be a sad sad day. It was nice to add some original locally made accessories to my faithful Tiffany collection. I used some Christmas gift money to treat myself to some cute pieces from a recent Edinburgh start-up company Lily-Mo. It’s always good to support local business and difficult to resist when the items look this pretty and are so reasonably priced. Do you have a favourite knit? or have a secret about how to keep them fluffy? I would love to know!